Jews should "just" be subjugated? I've been watching some Youtube videos about people exploring their ancestry via genetic testing with 23andme and (I think it was) ancestry.com. The idea being that certain physical regions have people with some specific genes, so if you have any of those genes - even in recessive (meaning, for example, you have a gene for red hair even though you have brown hair), that you have an ancestor from that area. The videos took an interesting turn as people seemed to have moved on from using it to learn about their genetic history to using it to confirm their cultural heritage - which is often out of alignment with their genetic history. 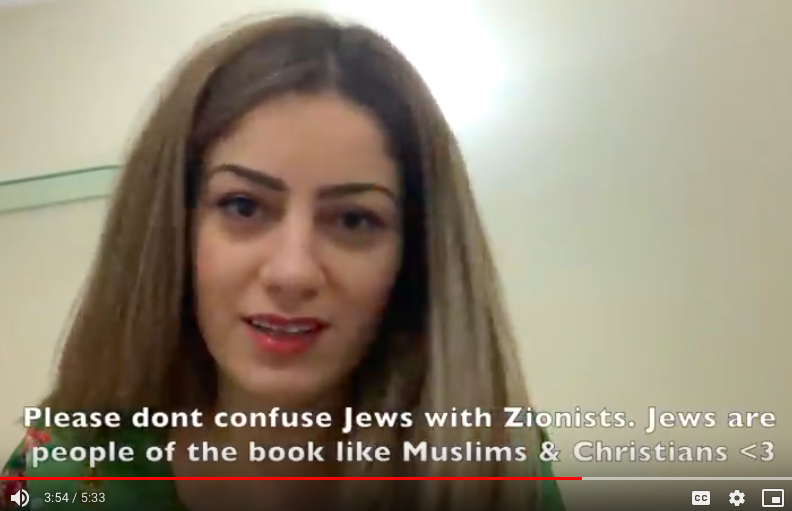 For example, in the video which I clipped from below, this woman is apparently an arab muslim raised in the US who assumes her background is, naturally, arab. What she found out in her results is that she is 0% arab, rather she comes from an area that was subjugated and forcefully indoctrinated into islam. She was rather stunned to realize that her genetic history does not line up with her cultural expectations. But that said, she was quick to point out that the subjugation was good, and as long as muslims control everything it's a-ok to be something else. Zionists, naturally, are evil because they refuse to be controlled by muslims. For almost 10 years I wrote on this blog that Jews are the canary in the coal mine, the first targets. But they are NEVER the last or only targets. It all moved into the open much quicker than I expected. May Hashem protect us all... but sitting around quietly is definitely not the answer! Talk about indoctrination! Wow. This is why the universities and schools are adamant in indoctrinating the young, so they will have obedient and loyal slaves. The world is on the precipice and it's all coming to a head, leading us to Moshiach Tzdkeinu! May it be immediately! For the sake of humanity, H' yerachem before things get worse.